How are we supposed to resist this much beauty? 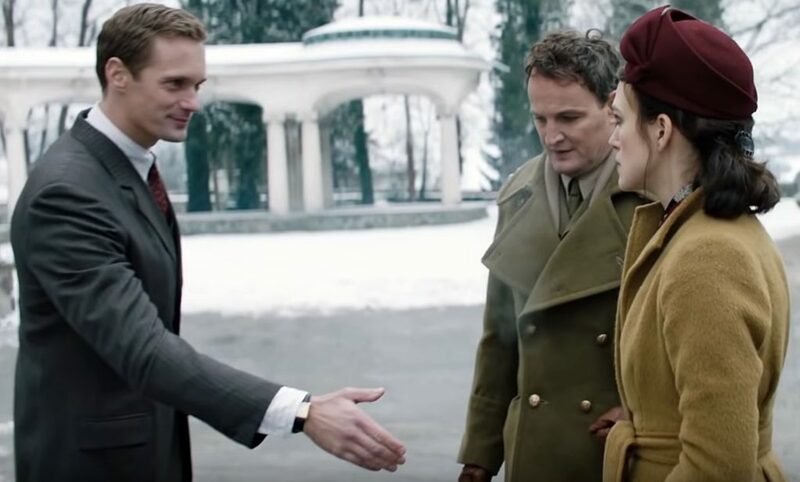 Wonky accent aside (we forgive your Swedish-ness), there is simply no way to deny the star power and aesthetic allure of two people such as Alexander Skarsgård and Keira Knightly, set against the stunning backdrop of wintry WWII Germany. Heck, even the post-war rubble looks pretty. I predict that combo will also draw many, many, many (that’s just math) people to theaters. The Aftermath is based on the novel by Rhidian Brook, and also stars Alexander Scheer and Fionn O’Shea. Look for theaters emitting smoke, beginning April 26, 2019.